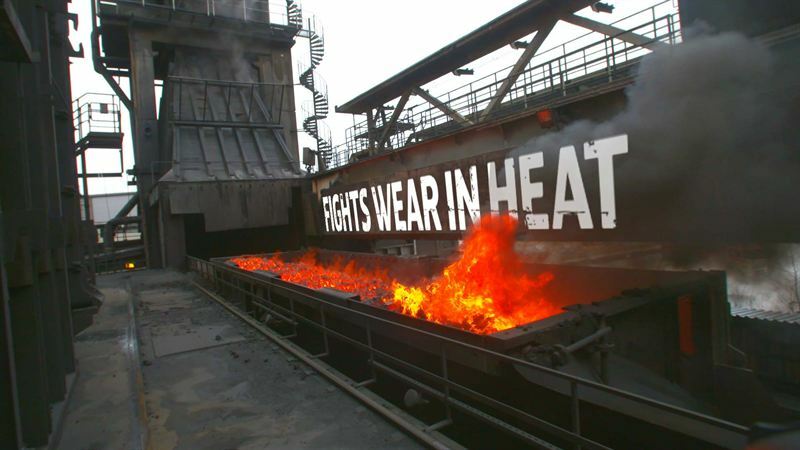 Hardox HiTemp is a welcome addition to SSAB’s Hardox wear plate family. Hardox is a wear resistant steel with worldwide recognition. It improves productivity and extends service life in all kinds of industries since more than 40 years. During the years, Hardox has constantly evolved to reach new levels of hardness and toughness. The new Hardox HiTemp meets an important wear challenge: Standing up to abrasive conditions in high heat environments. Traditional quenched and tempered wear resistant steels experience a loss of hardness at higher temperatures, in the 300-500°C* range. So far, alternative solutions for high temperature applications have been more costly and more complicated to work with. Hardox HiTemp wear plate is a better answer. The high temperature performance of Hardox HiTemp is achieved by using high-quality raw material in combination with a carefully controlled manufacturing process. Hardox HiTemp can be cut, welded, machined and cold formed by the same kind of workshop machinery and technology as other Hardox grades and conventional steel. All this adds up to making Hardox HiTemp an ideal choice for high temperature wear applications in many areas—particularly in process industries such as steel, cement and coal power plants, and recycling and asphalt industries. *The temperature range is not strict and depends on the wear conditions. 300-500°C is equivalent to around 570-930°F. For more information, please visit the Hardox HiTemp product page.